Self-guided hiking trips on the shores of Lake Superior. Guides and/or shuttle service are available at an additional fee. Additional meals can be arranged. Rock Island Lodge is the perfect base camp for exploring the local trails. Select several day treks to create a fabulous hiking holiday. Go guided or self-guided. The rugged beauty and wild Lake Superior shoreline offers magnificent opportunities for hiking and backpacking. Crowd-free easy to difficult trails lead you to extraordinary panoramic vistas, isolated pebble beaches, ancient pictographs, spectacular waterfalls and more. Lake Superior Provincial Park’s most arduous trail rewards day hikers with spectacular views of an inland sea—and the flaming colours of autumn. The 10-kilometre-long loop trail climbs to the rim of the Agawa River Valley, where towering old-growth pine evaded loggers’ saws. Catch your breath and enjoy the view when you reach the top; the second half of the trail—a long descent—is less strenuous. Watch for moose in the Agawa River valley as you return to the trailhead. You won’t actually see Bridget Lake on this trail, which is named after the historic mining track used to access the footpath. But you will experience challenging boreal forest terrain and sweeping views of Lake Superior’s wilderness coast. This eight-kilometre-long trail is perfect for intermediate hikers. In the spring, watch for pink lady slipper orchids along open sections of the trail; throughout the season, you’ll encounter classic northern flora, including sphagnum moss, Labrador tea and black spruce. The trail ends at Driftwood Beach, one of the largest stretches of sand on Lake Superior’s Canadian shore—perfect for beachcombing! There’s no better place to spot Nokomis—the face in the rock of Old Woman Bay’s 200-metre cliffs—than atop the summit of this well-maintained hiking trail. This five-kilometre-long loop starts and finishes at Lake Superior Provincial Park’s popular Old Woman Bay picnic area. Suitable for fit novice hikers, this trail offers some of the finest views of Lake Superior’s rugged coastline. This moderately difficult trail has a little bit of everything: A towering forest of mature yellow birch, a picturesque inland lake, waterfalls and a sweeping pebble beach on Lake Superior. The eight-kilometre loop can be completed in half a day but you’re best to set aside more time to lounge on the beach and linger at secret swimming holes on the Baldhead River. This easy three-kilometre (one-way) trail is a favourite amongst anglers and nature photographers. The Sand River tumbles towards Lake Superior in a series of scenic waterfalls and rapids—the perfect location to capture quintessential photographs of wild Canada or to test your wits against feisty brook- and rainbow trout. If you like waterfalls, you’ll love this five-kilometre-long stretch of Voyageur trail along the Magpie River. Rugged yet featuring multiple access points, this trail offers a good margin of safety for novice hikers. Natural highlights include old-growth eastern white cedar trees deep in the river valley and a unique “stepping stone” section along the fringe of a rocky slope. The payoff is Scenic High Falls, a stunning 30-metre cascade. This unheralded, 2.5-kilometre-long loop captures the best of the Canadian wilderness. The easy trail traces the banks of the South Old Woman River, featuring distinctive northern flora and the opportunity to see a range of songbirds such as warblers and thrushes, as well as good moose-viewing potential. Gargantua is a sacred wilderness haunt of cobblestone and sand beaches, swirling mist, deep forests and intrigue—the perfect place to experience the essence of Lake Superior on a weekend retreat. 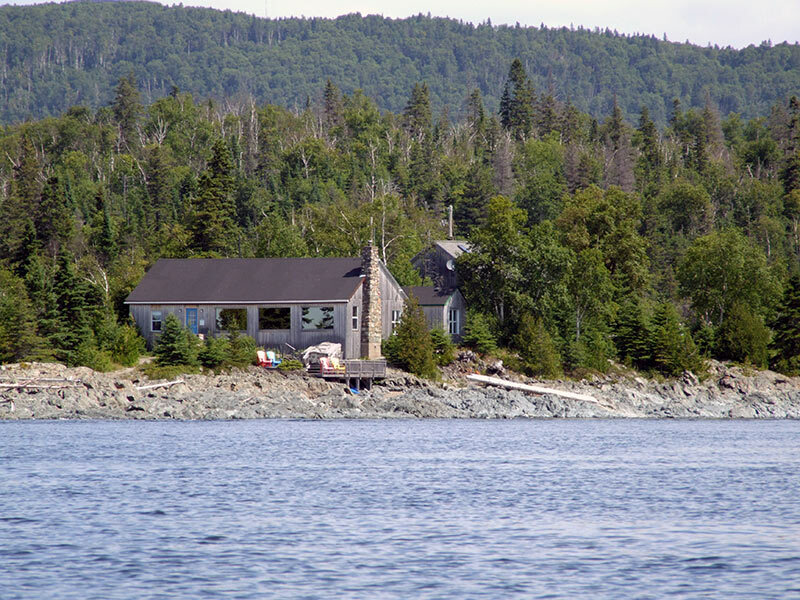 You can drive to the shore of Gargantua Bay and hike north on the Coastal Trail, which passes an abandoned fishing village and a ridge-top lookout. A total of seven kilometres of moderate hiking gets you to Warp Bay. This sandy paradise features backcountry campsites and great views of the rocky islands that give Gargantua its mysterious allure. A century ago, the Ojibwa guide Towabinassay was a local legend, revered for his ability to divine wildlife and trek swiftly and silently through the forest. This 12-kilometre-long (one-way) trail follows in Towab’s footsteps to some of his favourite haunts on the Agawa River, including 25-metre Agawa Falls. Moose sightings are common on this rugged trail, and the Agawa River offers excellent fishing for salmon and trout. As for the autumn colours…you’ll just have to see them for yourself! Rock canyons, sweeping beaches, heart-pumping climbs and deep, dark forests—Lake Superior Provincial Park’s Coastal Trail packs a huge variety of wilderness into a 60-kilometre-long trek along the rugged shoreline of the world’s greatest lake. While this challenging trail is best for intermediate to advanced backpackers, all you need is a moderate level of fitness and a good dollop of enthusiasm to join Naturally Superior Adventures on a guided hiking trip. West Coast Trail, Gros Morne and Juan De Fuca—the 55-kilometre-long Pukaskwa Coastal Trail ranks alongside Canada’s best long-distance hikes. Yet you won’t find any crowds along Lake Superior’s jaw-dropping north shore, which is completely undeveloped (the trailhead is accessed by boat shuttle). With huge sand beaches, mysterious rock formations, steep ascents and amazing views of boreal forest hills and Lake Superior’s endless horizon, you’ll appreciate Pukaskwa’s tagline, “The wild shore of an Inland Sea.” Did we mention the sunsets?